Ms. James graduated with Honours from Wilfrid Laurier University’s Bachelor of Business Administration program and earned a Master of Business Administration degree from Queens University. She is President and Chair of Icy Waters Ltd. and facilitated the reorganization effort that made Icy Waters the market leader that it is today. She is also President of Catkin Ventures Inc., the family investment business that owns Icy Waters along with other ventures. Prior to her current roles, Ms. James was a management consultant at Accenture LLP. She specialized in process optimization, data analytics and advertising strategy for many national retailers in North America. Ms. James resides in Etobicoke, Ontario and is married with two children. Mr. Rose is a graduate of Wilfrid Laurier University with an MBA (Strategy and Accounting) and a Bachelor of Arts degree (Economics). He completed his Certified Management Accountant (CMA) designation in 2007. He is President of Oak Bridge Holdings Inc., a private equity, property and investment holdings company, while also maintaining the position of Managing Director for Icy Waters Ltd., Whitehorse, Yukon. After first joining Icy Waters in April 2002, he helped lead a corporate reorganization and culture shift making the company cash flow positive and a vibrant market leader in Arctic Char aquaculture research and commercial development. Mr. Rose served as President of the Canadian Aquaculture Industry Alliance (CAIA) from 2007 to 2011 helping to recreate CAIA as a member driven organization dedicated to strongly promoting Canadian aquaculture to government and other key stakeholders. Prior to his current positions, he held the position of Financial and Managing Director with Rocorp Ltd., an international mineral trading and distribution company he helped create. Mr. Rose has considerable experience in strategy, operations and governance, and presently holds director positions, including chair, with two private organizations as well as teaching for the Chartered Professional Accountants of Ontario. Mr. Rose has a long history of community involvement presently serving as a captain in his community’s volunteer fire department. Mr. Rose resides in Wellesley, Ontario and is married with two children. Mr. Hori is the Executive Vice President of Icy Waters Ltd. Derek first joined Icy Waters in September 2002 as its Sales Manager and has developed significant channels for both its flesh and ova. 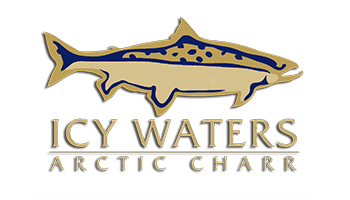 Today, Icy Waters is one of the world’s largest suppliers of Arctic Char ova with a program that is second to none. As Executive Vice President, he now oversees operations and business development opportunities alongside his sales efforts. He is also the Founder/President of Direct Gourmet Seafood, a seafood brokerage that provides sales management services to various aquaculture farms in Canada. Prior to his aquaculture career, Derek owned and operated Recruit & Prosper Group, a recruitment agency in Toronto, Ontario, Canada. He has considerable experience in sales, operations and is a true networker of anything he believes in. Mr. Hori resides in Elmira, Ontario, Canada and is married with two children. Mr. Edwards graduated from the Fish and Wildlife program at Sir Sandford Fleming College in Lindsay, Ontario. He joined Icy Waters in 1995 and has experience in every role at the company. Mr. Edwards became the General Manager in 2012 and applies his two decades of experience to manage operations in all departments. His efforts in process management have been critical to Icy Waters growth in recent years. Mr. Edwards resides in Whitehorse with his two teenage children. Mr. Renner graduated from the University of Savoie, France with an Aquaculture Bachelor in 2008. He started with Icy Waters as a university student on a co-op placement. Upon graduation, he returned to Icy Waters as a Hatchery Technician. In 2011, Mr. Renner was promoted to Hatchery Supervisor and is responsible for overseeing the health and growth of our broodstock, ova and fingerlings. Prior to Icy Waters, he worked with a variety of European companies that produced trout, turbot, salmon, European catfish and oysters. Mr. Renner has made Whitehorse his home where he lives with his wife and daughter. Robin started in the aquaculture industry over 25 years ago, as the East Coast industry was becoming established. Growing up in rural New Brunswick Robin has always been interested in farming. She studied Biology at Saint Mary’s University in Halifax and found a way to combine the science and the farming in the then developing aquaculture industry. Robin has worked hands-on in aquaculture production facilities and labs, learning from the ground up, and has also spent many years in management. She has seen many changes in the industry and enjoys the constant drive to be ready to move forward and improve, but still really enjoys seeing the fish grow. She has managed flow through operations and has started up and operated larger recirculation facilities. Robin has worked on both the East and the West Coast of Canada with major Atlantic salmon aquaculture companies with a focus on freshwater production and broodstock development. She brings to ICY WATERS this production experience as well as management and support of safety, biosecurity, environment, and planning processes. She especially understands the importance of a well-developed team and so is committed to the development of personnel. Robin has a can-do attitude, which she knows is necessary for this “never boring” business and is willing to take on new challenges and work with change. This quality has led her to Icy Waters in the larger than life Yukon. Robin is the proud mother of Emma and Julia, who are now young adults finding their paths, currently in BC.